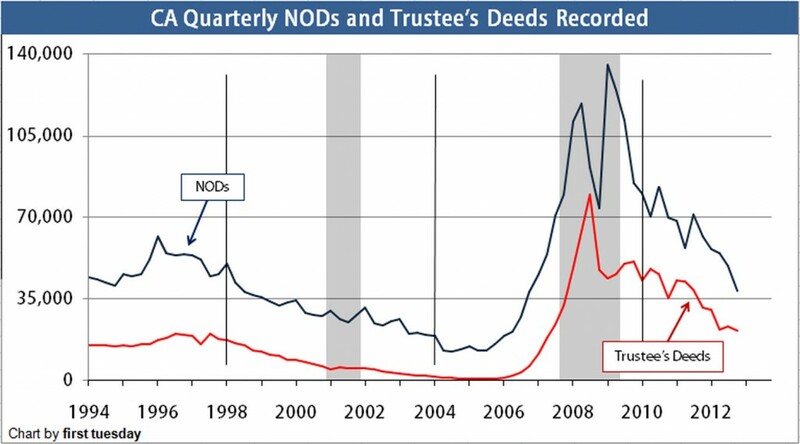 38,212 notices of default (NODs) were recorded in California in the fourth quarter (4Q) of 2012. This is a significant 38% drop from one year earlier. 21,127 trustee’s foreclosures sale deeds were recorded in 4Q 2012. This is a dramatic 32% lower than one year ago. 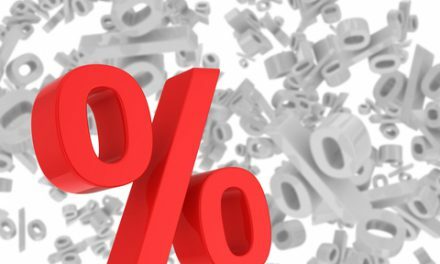 The percentage of NODs resulting in foreclosure dropped to 39%. This is down from 55% one year earlier. This drop is due in part to California’s recently established Homeowner Bill of Rights, which regulates the foreclosure process. Among California’s largest counties, the greatest one-year drops in foreclosure sales took place in San Francisco (-51%), Alameda (-48%), Orange (-38%) and San Diego (-37%) counties. Click here for the most recent quarter’s NOD and foreclosure numbers. 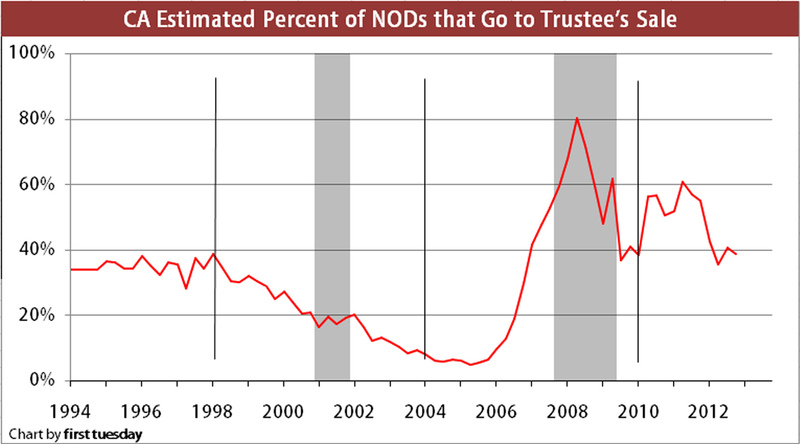 Looking forward, the number of NODs and Trustees Deeds will slip until interest rates rise, likely in 2015. Expect an increase going into 2017, then a rapid decline as prices lift many homeowners into positive equity. Recording an NOD is the lender’s first step in the foreclosure process, following a minimum 90-day delinquency. The recorded trustee’s deed is the final step when the delinquency has not been paid current or the loan paid off. If the lender acquires title after the foreclosure sale, the property is relisted as real estate owned property (REO). If a third-party purchaser acquires the property at the foreclosure sale, no special notation takes place when the property is relisted. NODs are a good indicator of the financial condition of state, regional or local housing markets. 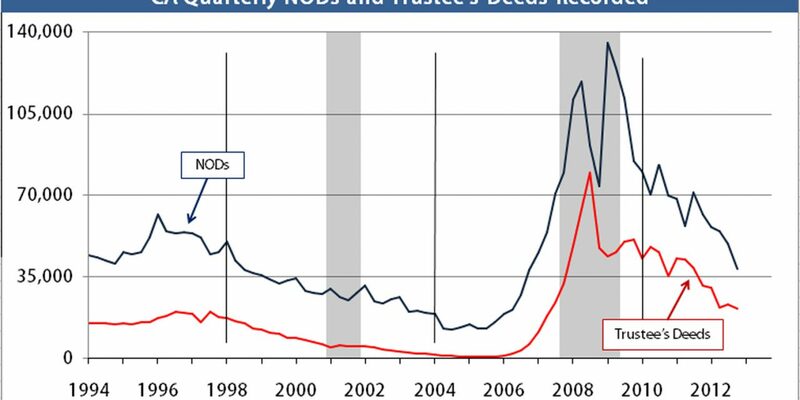 As such, recent data on NODs and foreclosure sales helps determine the future volume of foreclosures and REO inventory. In a normal housing market, the entire foreclosure process takes place over four to five months following a recorded NOD. In the current market, it takes an average of eight months to complete the foreclosure process from NOD to trustee’s foreclosure sale.Why so long? Negotiations for loan modifications and short sales, and lender backlogs are to blame. Still, good news going forward: the foreclosure process is trending shorter year over year.40-50% of NODs have gone on to foreclosure in 2011 and 2012. Thus, today’s NODs indicate the amount of foreclosure activity eight months forward.The quantity of NODs has generally declined since 2009. The percentage of NODs that end in foreclosure has also decreased. This decrease is due primarily to increased short sale and loan modification activity.Time keeps on tickingShort sales have become more common in 2012, rising to 26% of all California resale activity in 3Q 2012.The lender that does not foreclose promptly when faced with a 90-day delinquency will lose money each day the trustee’s sale is delayed. In turn, that delay will lengthen the real estate market’s recovery period. Another aspect to be observed: foreclosures tend to tick upward toward the end of a recovery. 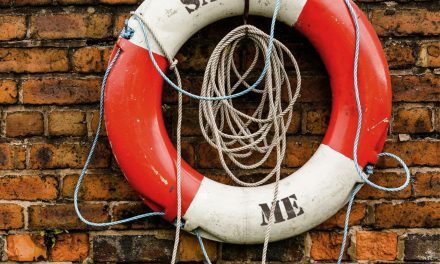 Underwater homeowners eventually turn to strategic default if they see no debt relief from price increases.NODs become REOsOnly when NODs become REOs or flips do they impact prices. Large amounts of REOs destabilize home sales volume and pricing, dragging prices down.Once REOs decline to a normal 7% of sales volume, stability will return to real estate pricing. 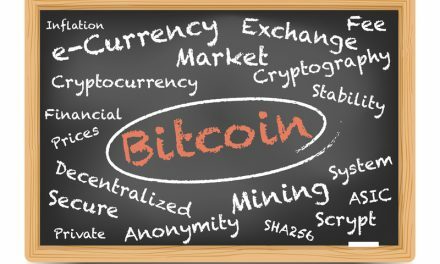 However, it all starts with fewer NODs and foreclosure sales. California’s NOD and foreclosure levels are slowly decreasing. NODs will likely return to normal levels once the Fed raises interest rates around 2015. As Jesus , say do unto others as they would to YOU …..Hello Your next —So, be careful what You say !!!! Sir, most of your links don’t go any where. please fix them. also the link of your Email’ News Letter.